Han Hye Jin and Jun Hyun Moo faced breakup rumors after their recent 'I Live Alone' episode. On the December 7th episode, Jun Hyun Moo and Han Hye Jin were more icy with each other than usual, and netizens are speculating the two are probably having relationship issues. 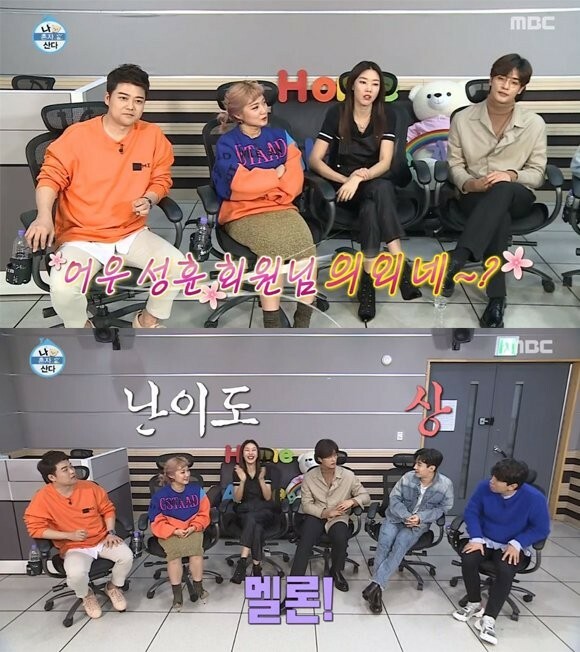 It seems while the cast members and hosts were discussing the lives of the stars on 'I Live Alone', the public couple rarely talked with each other or met eyes. However, no official statement has been made on their relationship. As previously reported, Jun Hyun Moo and Han Hye Jin revealed they were dating this past February. or they just had a fight. Those do happen in relationships,you know.